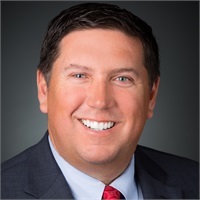 Joe Keifer is the Managing Partner and co- founder of Cornerstone Wealth Management LLC, and has worked extensively in the field of financial management since 1998. "My philosophy, first and foremost, is to serve in the clients' best interest," says Joe. "My job is to bring my extensive training and those of my colleagues to the relationship in order to professionally work toward my clients' needs in a variety of disciplines." Joe advises individuals and institutions on how to pursue their particular goals and objectives. Joe graduated from the University of Missouri – St Louis with a degree in Accounting. Early in his career, Joe spent three years as a practicing CPA and joined the Edward Jones accounting department in 1992. Acting upon his strong beliefs on the importance of giving back to the community, Joe has devoted a significant amount of his time to the Chamber of Commerce, Boy Scouts of America, served as Ducks Unlimited Mid-County Chapter President and Board Member for the YMCA of St. Charles County. Joe and his wife, Dina, have been married since November 1994 and have two children, Grant and Gabrielle. Joe's hobbies include spending time with his family, golf, traveling and any outdoor activity.